It’s the Willamette, damn it! 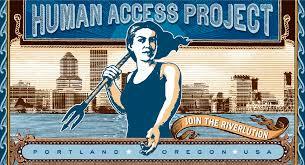 For much of the twentieth century the Willamette River was a dumping ground for sewage and industrial pollutants. It was considered by many to be one of the countries dirtiest rivers. That started to change in the late sixties with more stringent environmental protection laws and with the twenty year $1.4 billion Big Pipe project which redirected sewage away from instead of into the river. 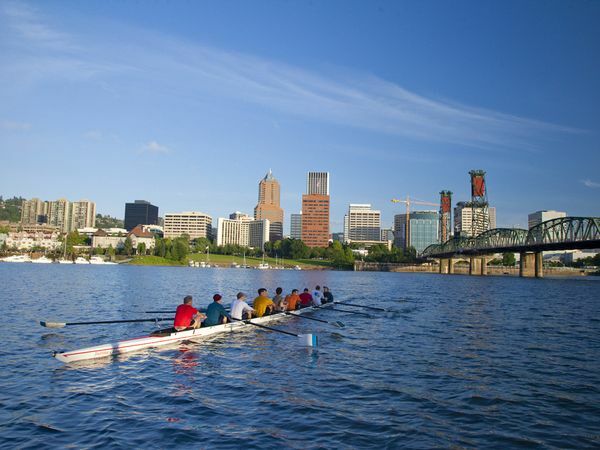 The Willamette River is our home. We live on or near its banks and cross it every day. Yet, for generations we humans have mistreated, neglected, and scorned it. Well, the tide is turning. Together with others, the Human Access Project (HAP) is helping people “get into” this natural treasure – to enjoy it, preserve it, and cherish it for generations to come. Join the Riverlution! To help change public perspiration of the Willamette, HAP has initiated many events and projects, probably the best known of which is The Big Float. 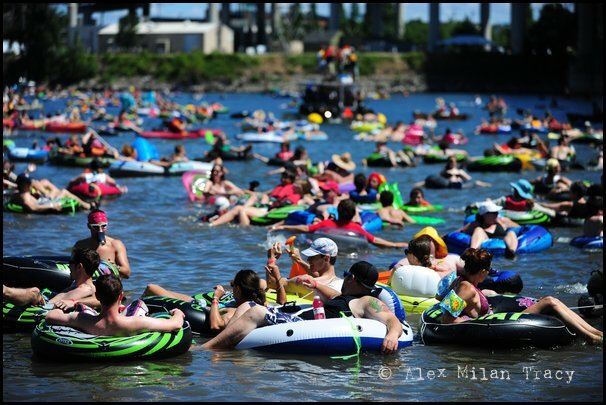 Now in its fifth year, The Big Float is a huge downtown beach party where thousands of people play in and float on the Willamette. This event has done wonders to sway public opinion. 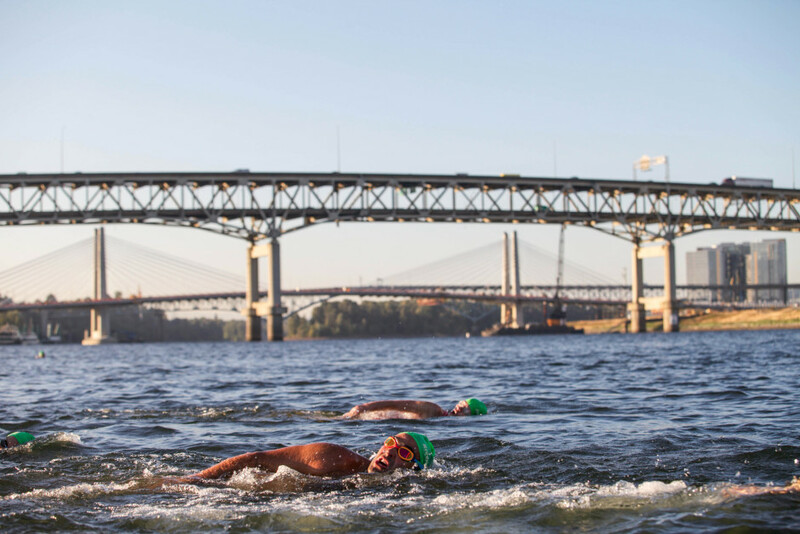 Another thing HAP does is organize regular swims in the Willamette during the summer. 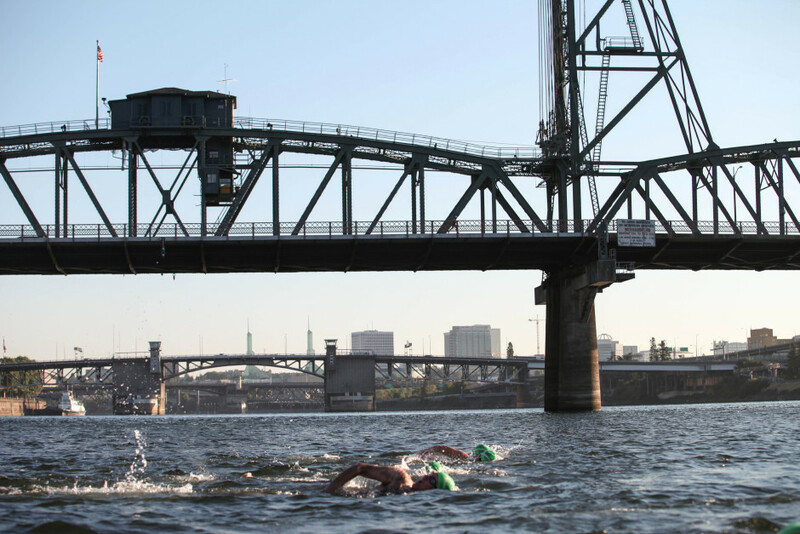 The River Huggers Swim Team meets three times a week and with the support of safety kayakers swims under the Hawthorne Bridge, tags the other side and then swims back. Since I broke my foot last month I’ve been swimming nearly everyday at this great outdoor pool at Grant High School. I hooked up with my old coach for some brushup lessons and dug out a training plan from three years ago. My swimming skills are still in the beginning stages, but I’m surprised how much I enjoy these after-work swimming sessions. Last week a woman in the next lane said to me, “This is so much better than happy hour!” I couldn’t agree more. 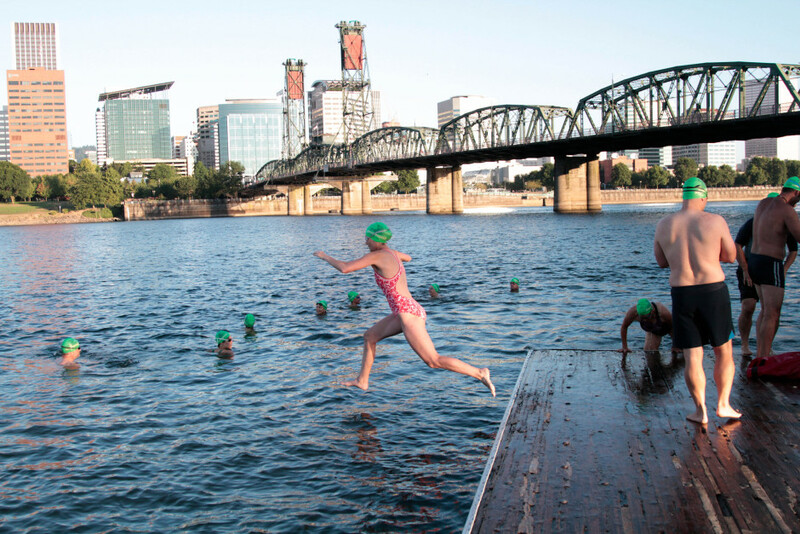 In fact, I’ve been having so much fun I decided to join the River Huggers for a swim of the Willamette. It’s surprising how warm the river is in the morning and with so little rain this year there’s hardly any current at all. I was definitely nervous beforehand, but everyone on the team was really supportive, even the guy who said, “Yeah, we’ve hardly lost anyone to shark attacks this summer.” We all left our flip flops and towels at a dock on the east bank and at 7am unceremoniously hopped in the river and took off. I had never swam in open water before, so it was a bit unnerving to not be able to touch or even see the bottom. In a pool, you’re in a narrow lane, so it’s easy to swim in a straight line, but here in the open water, I was zigging and zagging and would have to stop frequently to recorrect. It was pretty cool to swim under the Hawthorne Bridge and look up through the grates at all the cars on their way to work. But at around the halfway point I started to panic, realizing there was still a long way to go. If you’re running and get tired, you can always take a break, but if you stop swimming, you to start to sink. Luckily I remembered some survival strokes from high school swim class and was able to recover enough to start free-styling again. After about 20 minutes the whole group was already across, waiting for the new guy who was holding up the whole operation. I must have looked bad when I finally arrived because several of them asked if I was doing alright. It was a huge relief to finally be able to touch the bottom again, but I barely had a chance to catch my breath before they all took off again. I then looked at the safety kayaker, shook my head, and told him that I’d be making the return trip on foot. Though he didn’t say anything, I could tell he agreed with my decision. Hundreds of cyclists commute across the Hawthorne Bridge every morning and many of them were surprised to see this waterlogged, half-naked, barefooted dude stumbling over the bridge. I must have looked like a homeless person who got drunk and fell in the river. It was a bit embarrassing to do the walk of shame back to the other side, but then again, I was proud to have made it at least one way across the river. It’s only been four weeks since I started swimming again and this experience has motivated me to train even harder. One day I’ll do the full round trip of the Willamette and become a real River Hugger.